I traveled to Cordova, Alaska nearly 3 years ago, a visit that changed me. It was the first time I’d seen the majestic wild, untouched land. I came home with a whole new understanding and appreciation for nature, and the life of wild salmon, a magnificent species that nourishes so many of us. I didn’t know if I’d ever get the chance to return to Alaska. I certainly hoped and dreamed, and then last month, I found myself on an airplane headed back. 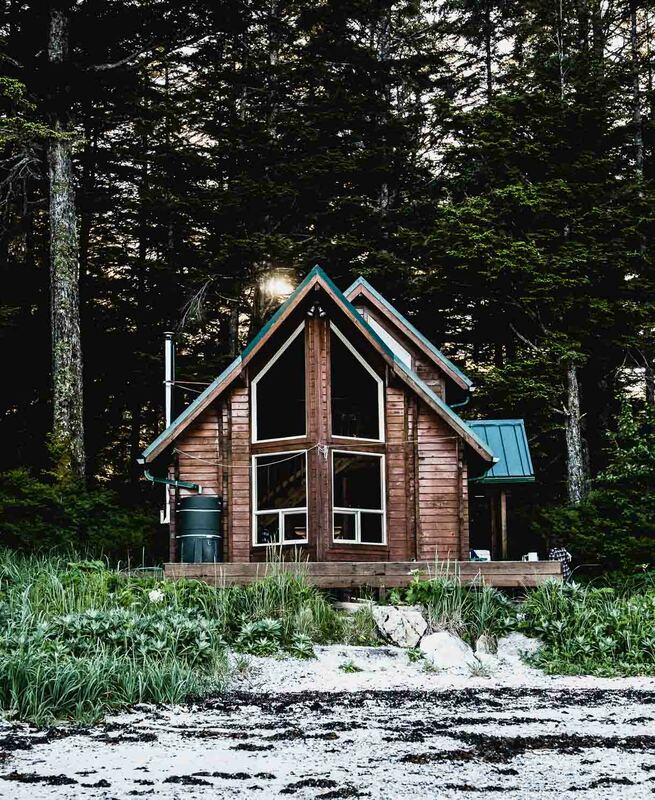 This time to Sitka, nestled at the foot of magnificent glacial carved mountains facing the Pacific Ocean on Baranof Island. 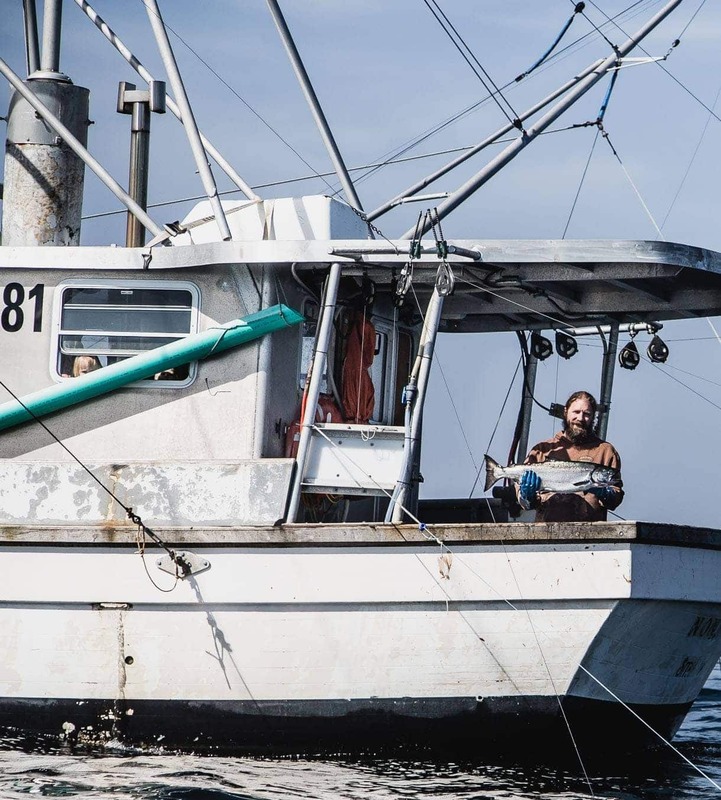 This is where a 20 man fleet of small boat fishermen spend their days dedicated to one of the last remaining wild food sources, respectfully and sustainably catch fish that flourishes in the ocean waters. 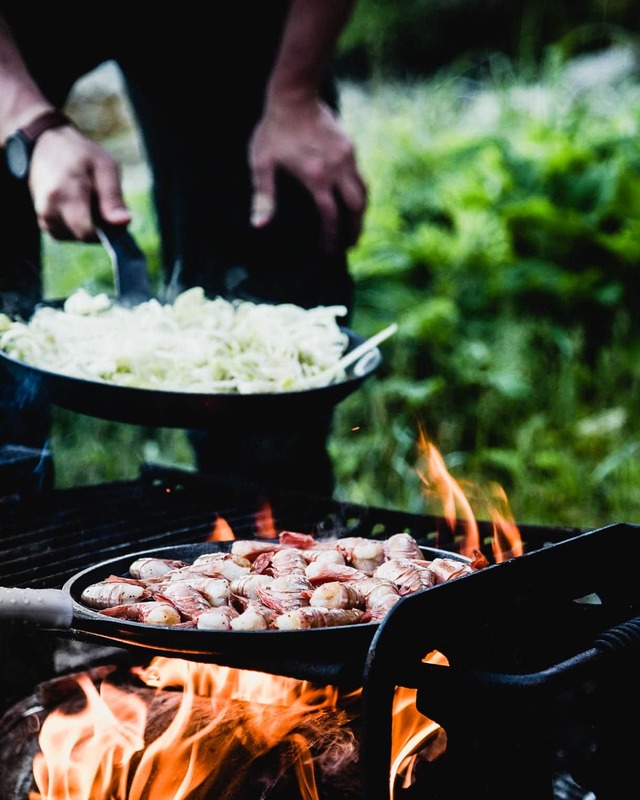 And ultimately, enable those of us in the greater Midwest to have access to some of the most pristine seafood, from their boat to our doorstep, with the highest degree of care, and commitment to their passion. This is Sitka Salmon Shares. A fully integrated community supported fishery (CSF), that provides members with a “share” of the catch throughout the year, much like a CSA. 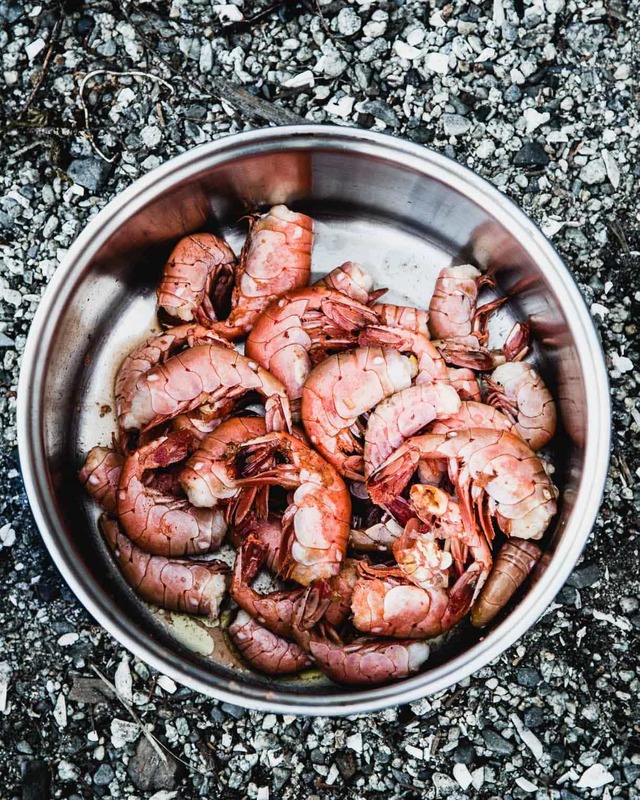 Each share includes a curated selection of the wild Alaskan seafood harvested, delivered monthly, 3 to 9 times a year, you decide. 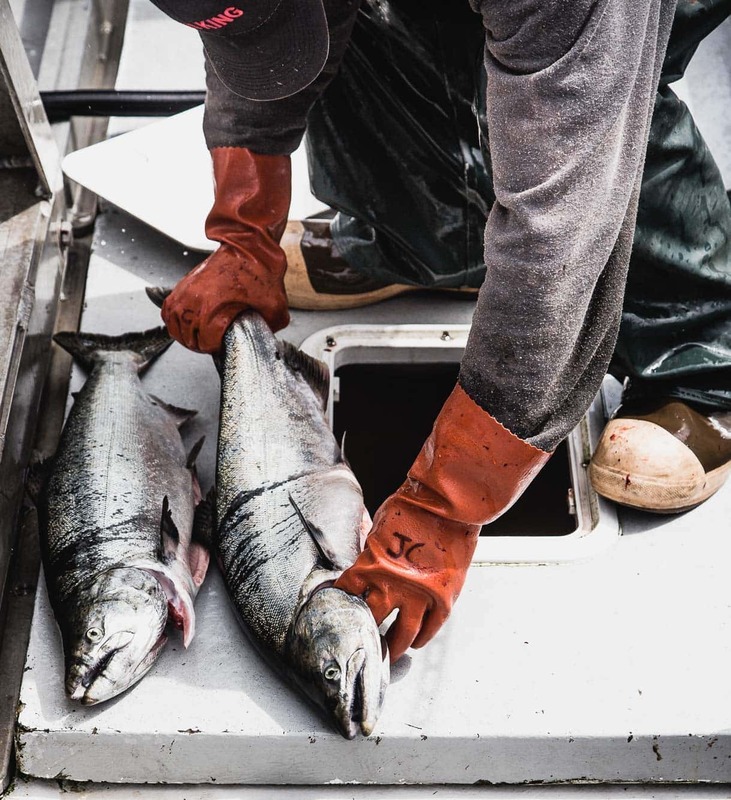 In 2018, that includes wild Alaskan king salmon, sockeye salmon, coho salmon, keta salmon, lingcod, black bass, black cod, Pacific cod, yelloweye, dusky rockfish, spot prawns, Dungeness crab, albacore, and halibut. They also sell at several farmers markets throughout the US. From my personal experience and in my kitchen, I’m certain that once you taste just one piece of their harvest, nothing else will compare. 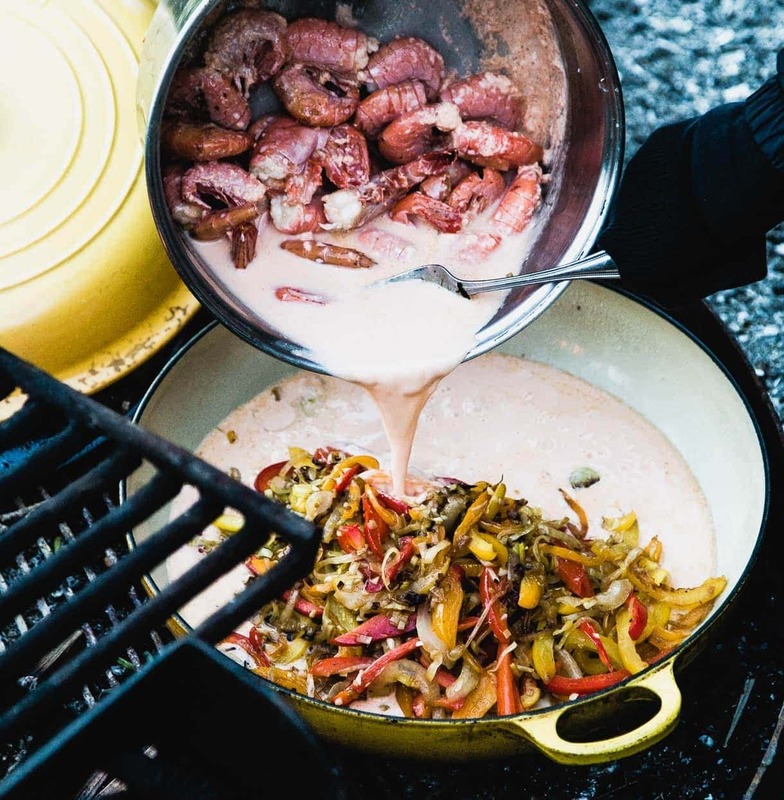 And this is the story of the Sitka Salmon way: the people, the process, and the passion, told from my eyes and days spent with their crew. Three days I’ll never forget. Arriving at nearly 10pm on a Sunday evening, we spent the morning walking through the forest that sits nearly in the middle of town, then prepared for our night in a log cabin somewhere in the Pacific Ocean. 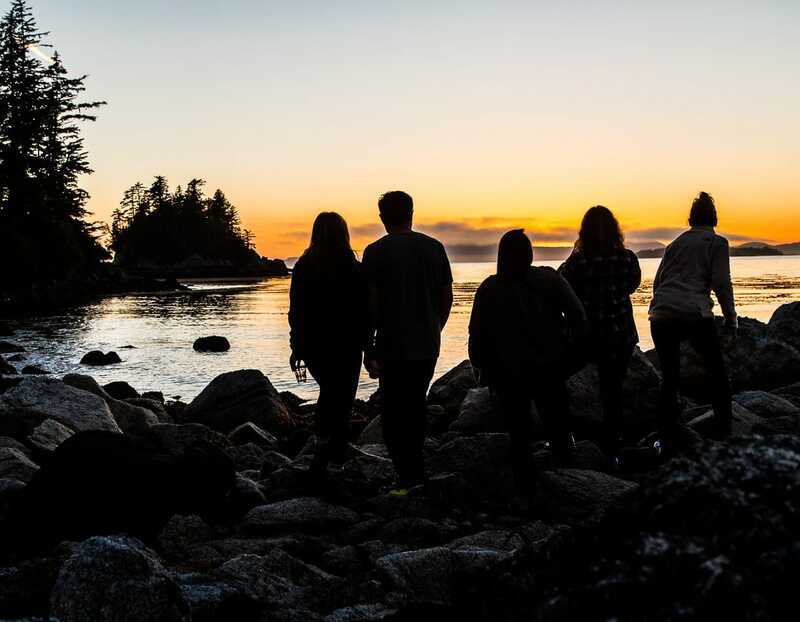 Marsh, co-founder and fisherman of Sitka Salmon Share, and Nicole, community relations manager, were our leads, myself and two other ladies – Sherrie and Audrea. Mostly strangers, we shared a common bond for the story of food and grew so close in just a few short days that I consider them great friends. We made it to the cabin in a little under two hours, bouncing quite mightily with the choppy waves of the ocean. Mountains around us, sea lions and sea otters swimming, bald eagles flying, starfish and sea cucumbers below, and us. We are so small in this fascinating world, I thought to myself. 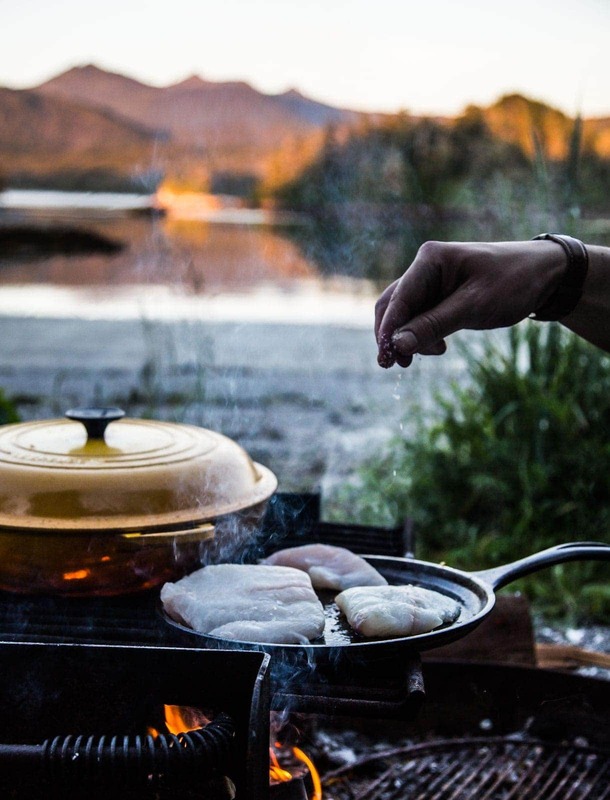 Through cooking a phenomenal coconut seafood stew, and conversation that night , we talked about the unknowns we as consumers face when we don’t know our fisherman. Just as with farmers, the different methods, morals, and goals can change the catch or the crop so very much. And I began to understand what made Sitka Salmon Shares so different, and so special. Fish is one of nature’s most perishable and delicate foods. It spoils quickly, with decomposition beginning the moment it’s plucked from the water. This is why having a passionate fisherman matters. A great fisherman handles each fish as he would one caught for his own family. I’d quickly learn that a great fisherman is every single one of the 20 who make up Sitka Salmon Shares. 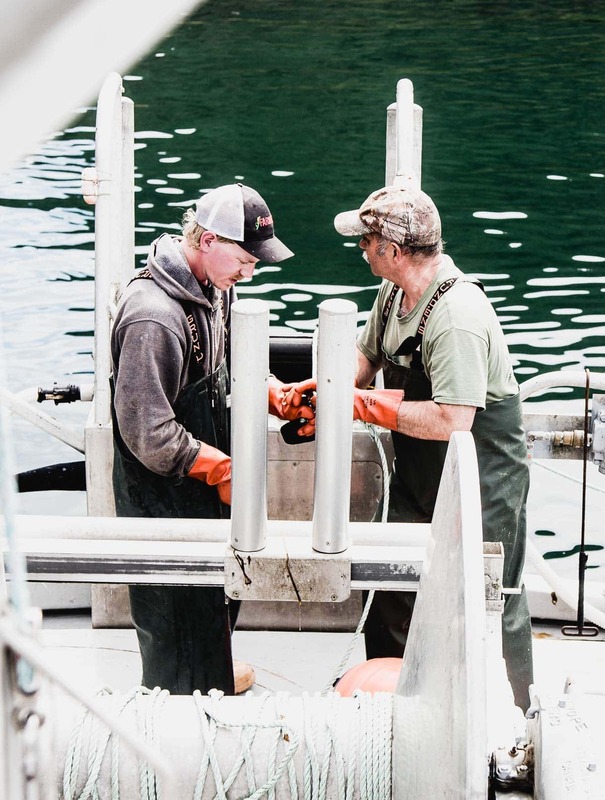 They take pride in the catch and understand that every single step—from the moment they pull the hook from the fish’s mouth—affects texture and taste. 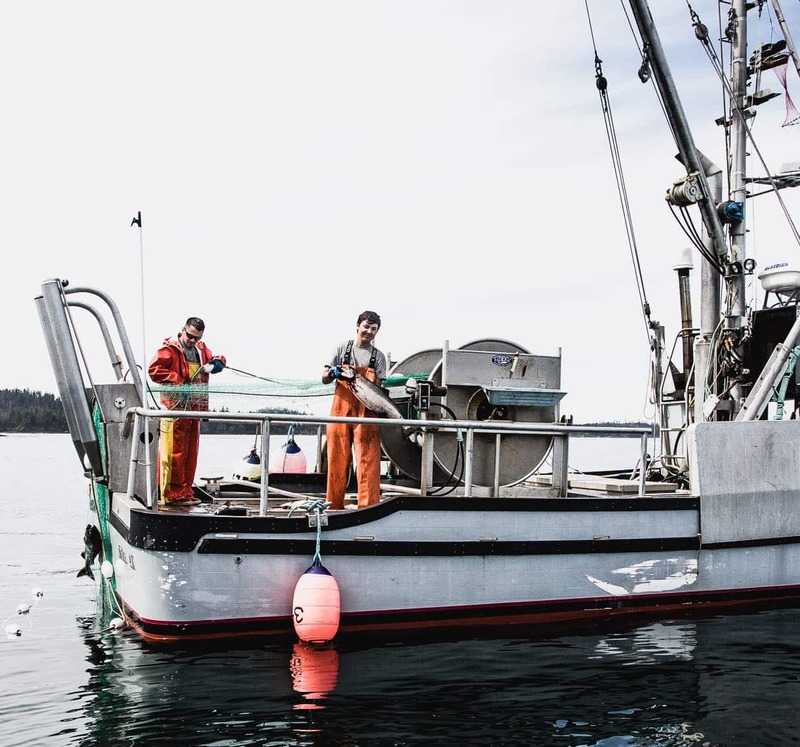 Sitka Salmon Shares harvest every fish individually, using hook-and-line methods that few and far between in a system dominated by large ships that catch most of the world’s harvest in large nets. This individual attention is the first step in producing perfect fish. Every fish is bled, dressed, and iced on board the vessel to prevent flesh decomposition and ensure premium quality. The labor involved isn’t the easiest, or most efficient, but this care produces a fundamentally different product than what you’ll find at your grocery store. 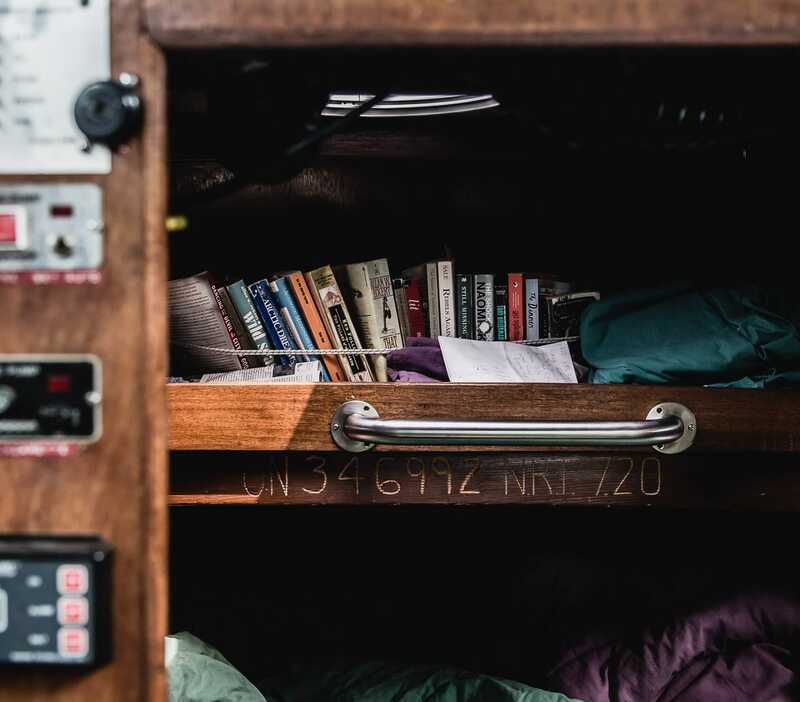 The next morning we headed out to converse with fisherman, to hear and see their struggles and the triumphs, the good fortune and the uncontrollable factors that they dealt with day in and day out. And so we came upon Frank. At first glance through my lens, his young bristly face conveyed that of a life that could be rough at times, and his eyes gleamed of hope. Determination too. As we approached, his wife popped out through the cabin door, and two small blond haired girls peaked through the window. The dog right next to him, as he reeled in two of his poles. His whole family, his whole life, his self worth, on this boat. Once Phillip recognized Marsh, the whites of his teeth beamed with a smile that stretched from ear to ear. As we came closer, he held up a beautiful king salmon he’d just caught. It glistened with hard-earned fat, the result of traveling thousands of miles through the waters. And then John, who has spent 42 years fishing the Alaskan waters. Sandy white hair, golden sun wrinkles. Eyes that exude pride, but also deep respect. For the sea. For the land. 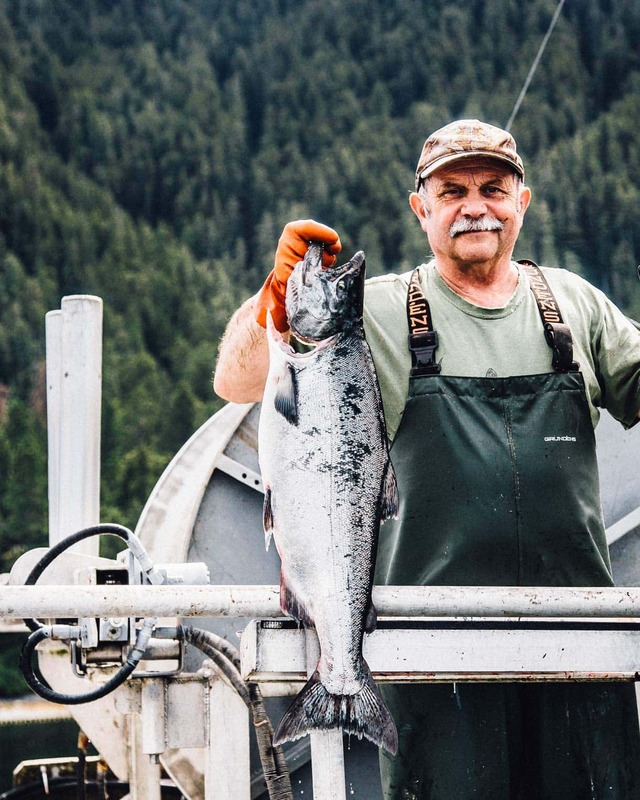 For this beauty of a king salmon that has given him the ability to provide for his family, passed on to the rest of us in the form of the purest fish, and nourishment. His apprentice listening to every word, gleaning from his wisdom. Inside the boat told its own story too. And tiny bunks that provided rest. I left Sitka grateful. And truly amazed. How fortunate are we that these fishermen have this passion that they share with us? Sustainably harvesting from the wild, and figuring out a process that makes it possible for the fish to be kept so pristine and perfect. For our kitchens. You can enroll in your very own Sitka Salmon Share right here, and use code HBK18 to take $25 off your share! The fish will be delivered right to your door. A regular share brings about 5 pounds a month, a family brings about 10 pounds, and neighborhood about 12-15 pounds. So you can really find the best option for your situation. Currently available is their 4 month premium or fall seafood sampler, which include: wild Alaskan Copper River sockeye salmon, Line-Caught coho salmon, Sashimi-Grade Albacore tuna and Jumbo spot prawns. I mean… the best of the best. In the coming months I’ll have recipes to share with you using some of the different varieties with fish, and also another picture essay, because there was just too much to share in one post. Even though I got to live this experience with you, I loved reading and seeing your perspective of the land, food and wise people we met. I will never forget this trip – ever. And, I’m thankful we were able to share it with each other. Love you, xo! Hi. I am a share owner and live in Madison, Wisconsin. 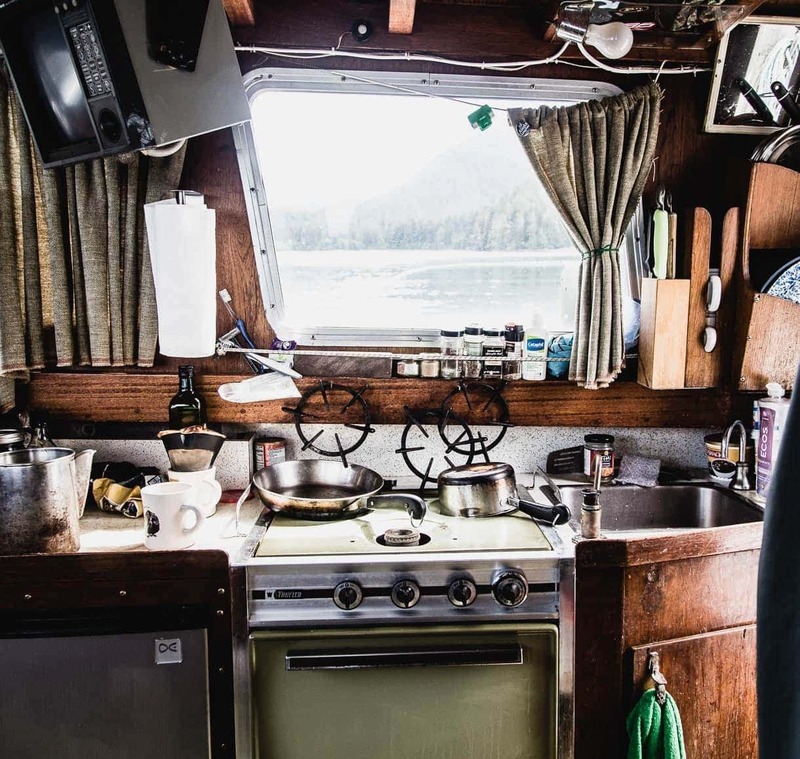 I have been fascinated with this company for about 3 years and just spent a week in Sitka. 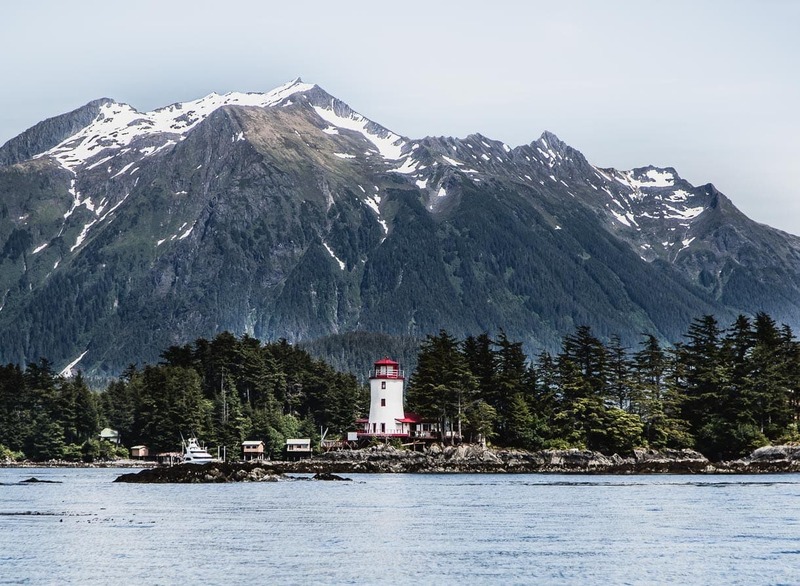 One night I traveled with the Sitka Conservation Club to Redoubt Bay via 3 hour boat excursion. What is so remarkable to me is the 3 young women from Sitka who ran this excursion. I could feel their passion for their town, their fishermen, their environment, their food and this beautiful mysterious place they call home. I must admit I was expecting ‘much older’ people running the conservation club. 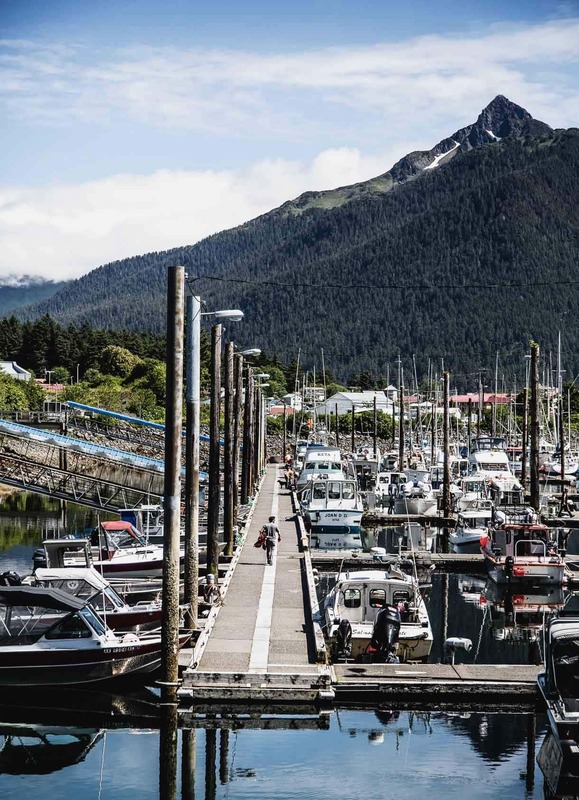 The people from Sitka serve their community with pride. I will be a life long advocate and customer of Sitka Salmon Shares. 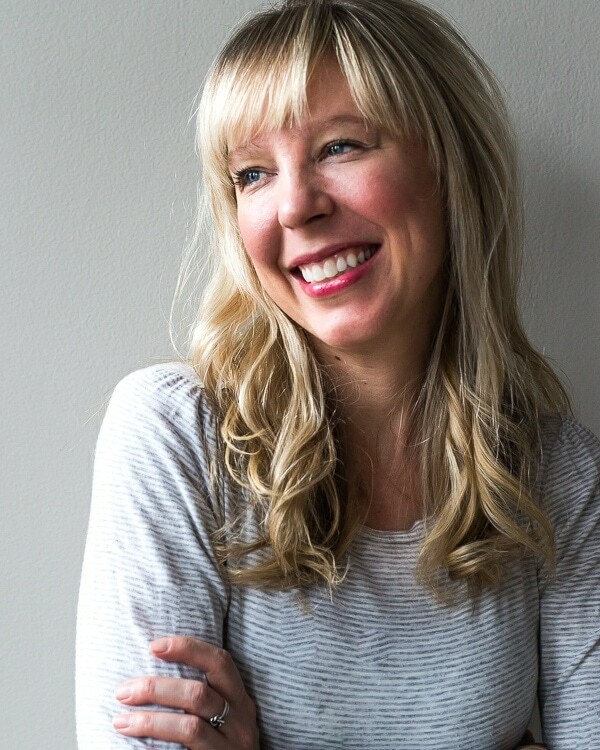 Don’t forget to check out the Alaska Pure Sea Salt Company. They have a great story and product that is a must for Alaskan fish. comes from their hearts, and a dedication to the wild. I did bring back some Alaska Pure Sea Salt too! I love the spruce tip one. Thanks for reading and leaving a note.